Will Apple Really Use AMD processors in the New MacBook Air? Will Apple Really Use AMD processors in the New MacBook Air? | Apple has updated the very popular product, the MacBook Air, with an Intel Core i5 and i7 last year, but later the laptop was rumored to be using AMD chips. Although there is no certainty, but the news circulated mention the use of AMD chips are still in talks and apparently did have a few obstacles. In an interview with Forbes, an employee of AMD confirmed that talks had almost reached an agreement, but achievements that can be produced AMD production is a barrier. AMD employees were confident a deal can be achieved if there were no problems with the production of the company. Currently, AMD is working on a new business model in the production of the processor "fusion" which combines a new CPU to the GPU into a single piece of silicon. One processor, called "Llano", seems very attractive to Apple for use on a MacBook Air. AMD engineers are busy chasing targets when they start to move into a new manufacturing process. "AMD can not even produce samples (results) Llano to Apple's initial work on time," wrote Forbes quoted one employee AMD. READ MORE - Will Apple Really Use AMD processors in the New MacBook Air? Boot Camp Windows Support | Apple has just released the latest Boot Camp that easily makes your need to dual boot Windows 7 on your MacBook Air comes into reality. This latest Boot Camp version fully supports Windows 7. With separate downloads for 64-bit and 32-bit versions of Windows 7, the download also requires an authentic copy of Windows 7 or Windows 7 upgrade, and is only supported on more recent Intel-based Macs; no Macs produced before 2007 will support Windows 7, as outlined in this Apple support page. If you're upgrading your Mac's other side from Windows Vista to Windows 7, you'll first want to download and install the Boot Camp Utility for Windows 7, which "safely unmounts the read-only Macintosh volume on Microsoft Vista." If you are already running Windows 7 on your Mac in Boot Camp, you can simply run Apple Software Update while booted into Windows to get the updated Win7-friendly drivers. If you are still looking for alternative way in letting your MacBook Air dual-booting the Lion and Windows 7, there is one you may pick. It is the Parallels Desktop 7 for Mac which promises you the better experience to have Windows 7 installed on your MacBook Air. Some are satisfied with Boot Camp, while others need something more. How Parallels Desktop 7 for Mac will work for you? 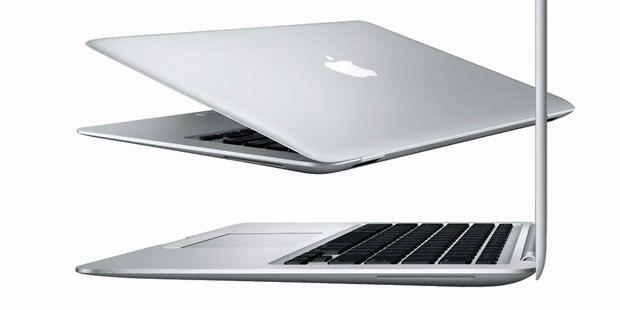 READ MORE - Which One Is Best To Buy: 11 or 13 inch MacBook Air?